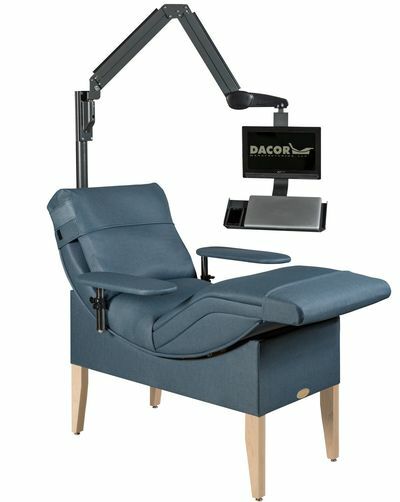 Need a chair that can be mobile? 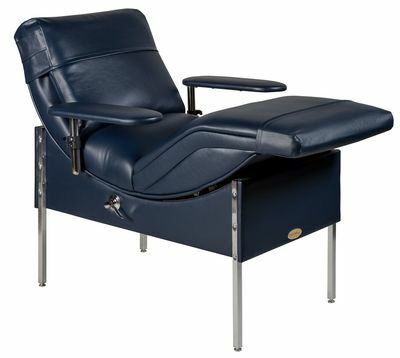 Our DACOR 4R4/5R5M Original Bloodmobile Chair, has been the lead bloodmobile chair for decades. 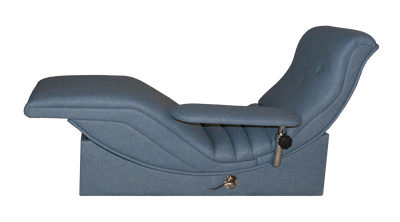 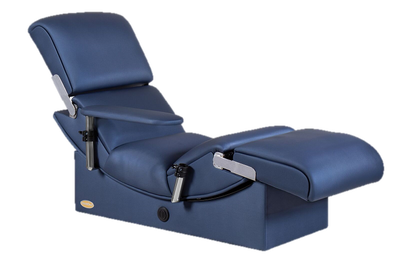 We work with specialized Custom Coach builders, providing them with our modified blood donor chair. 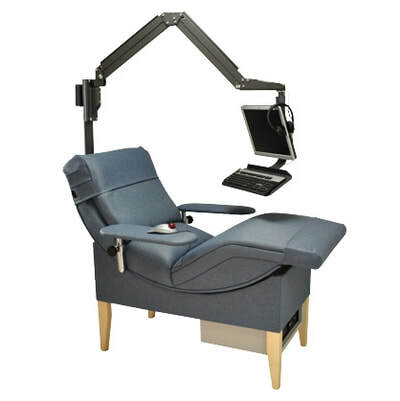 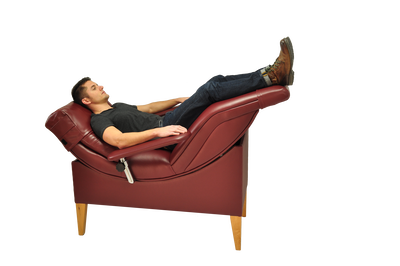 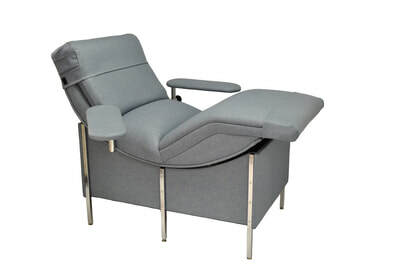 These mobile blood donor chairs are custom built to easily fit the manufacturer's specifications without altering quality and comfort of our product. 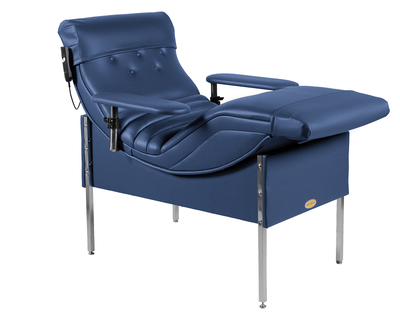 We still use all the same high-end materials as our Original Blood donor chairs just altering the height and width to fit smaller spaces or bloodmobiles. 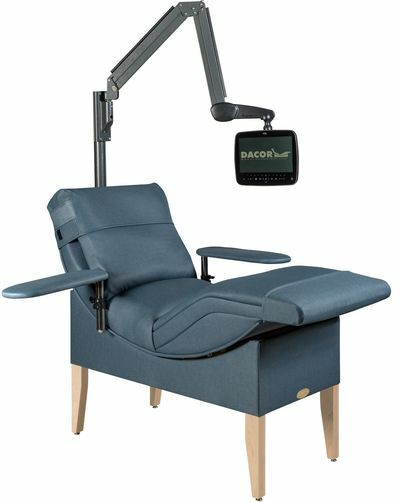 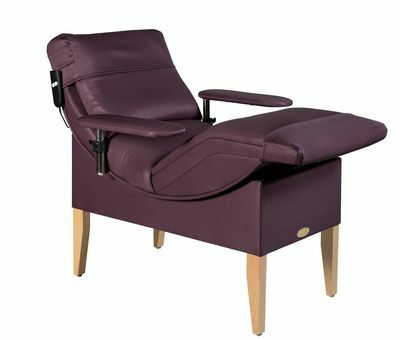 Can come either in a MANUAL or MOTORIZED positioning-chair.